The season of moister meats and wood fired flavor continues here at Kitchen Kaboodle… and to help us introduce the Kamado Joe, the finest, best-engineered Kamado there is, we are talking cook outs. 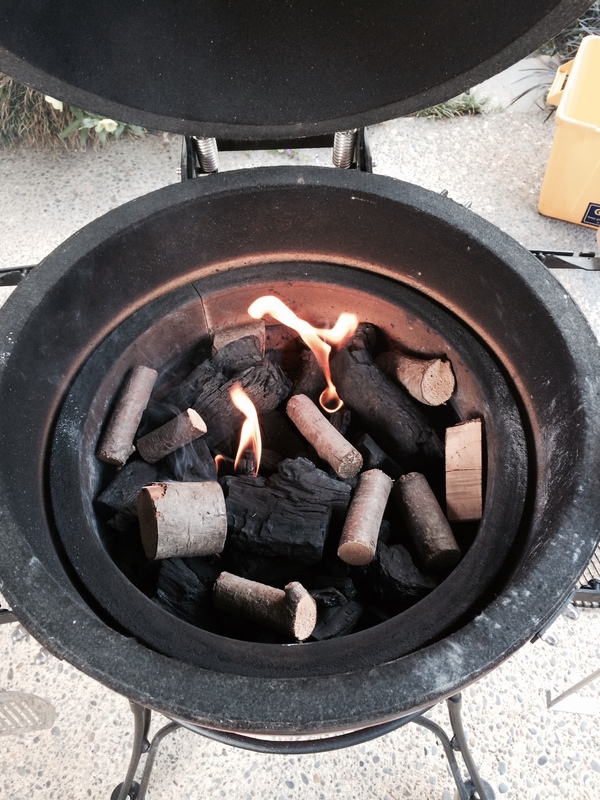 What’s a kamado? A kamado is a traditional, wood-fired Japanese cooking vessel that can perform all the functions of a stove and an oven. A modern kamado, like the Kamado Joe, can grill, bake, barbecue, sear, and smoke, at temperatures from 200 to 700 degrees F, simply by adjusting the air vents. Think of it not just as the ultimate grill but the ultimate outdoor kitchen. 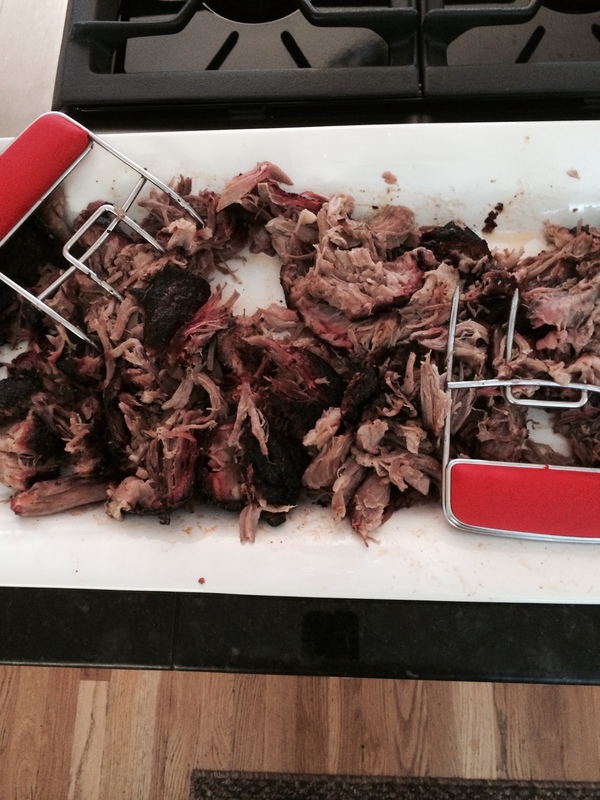 This week, our own John has produced a prodigious piece of pulled pork prestidigitation. It’s all about the Kamado, he says, but the rub didn’t hurt. First, prep the meat. Give the pork a thorough rinse down and pat dry. After coating the roast in vegetable oil John applies a healthy dose (read: a lot) of dry rub. He uses an all-purpose pork rub from Meathead Goldwyn’s Amazing Ribs.com. Let the rub penetrate the meat for at least an hour before introducing heat. Yield. Makes about 3 cups. Store the extra in a zipper bag or a glass jar with a tight lid. Fire… I’ll take you to burn. John’s been using the Kamado Joe for a few months now and has his fire technique down. Make sure the larger chunks of natural lump charcoal make it to the bottom, smaller pieces can clog up the air flow and make the fire start slower. He uses two of the Kamado Joe Fire Starting Cubes. He then added 8-10 pieces of peach wood for smoking, but cherry would work just as well. Once the fire is hot and the Kamado is up to temperature (we are looking for 225-250 degrees) it is time to bring it all together. The time it takes depends on the temperature inside your Kamado and the piece of meat you selected. You want an internal meat temperature of around 200° F. For John it was about seven and a half hours. 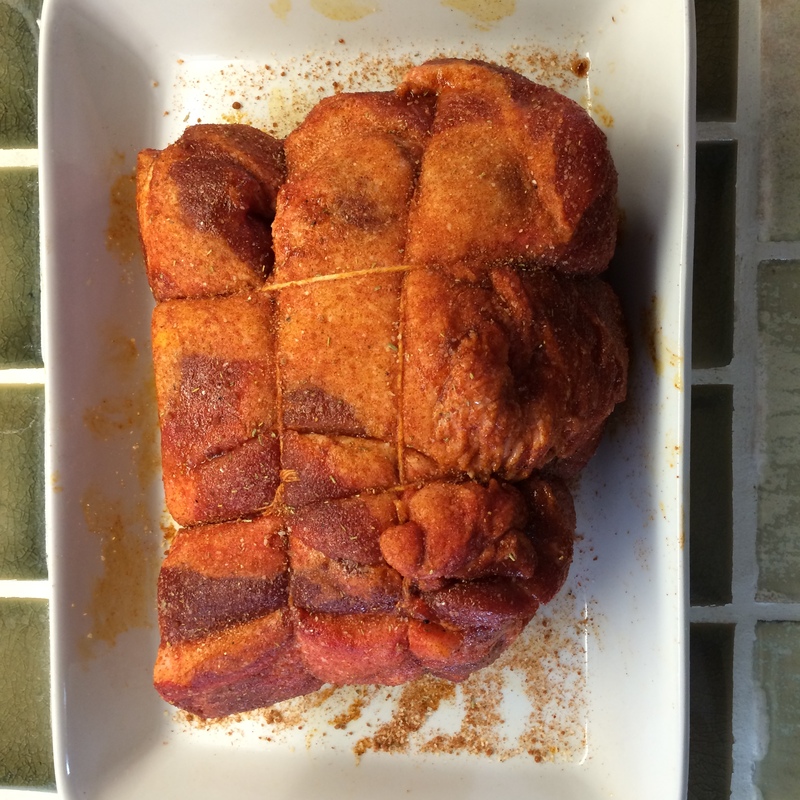 Let it sit for at least 30 minutes (wrap it in foil if it is going to sit any longer than that… and, no, we don’t have a problem with the “Texas Crutch”). Then take your Meat Claws to it. Sure, forks will do, but the Meat Claws are so much faster…. John topped his with a barbecue sauce and some homemade bread and butter pickles before piling it all on a squishy onion bun. But there are endless variations(some might disagree with that contention, I’m looking at you North and South Carolina), why not give it a shot and shoot us a picture of the results? 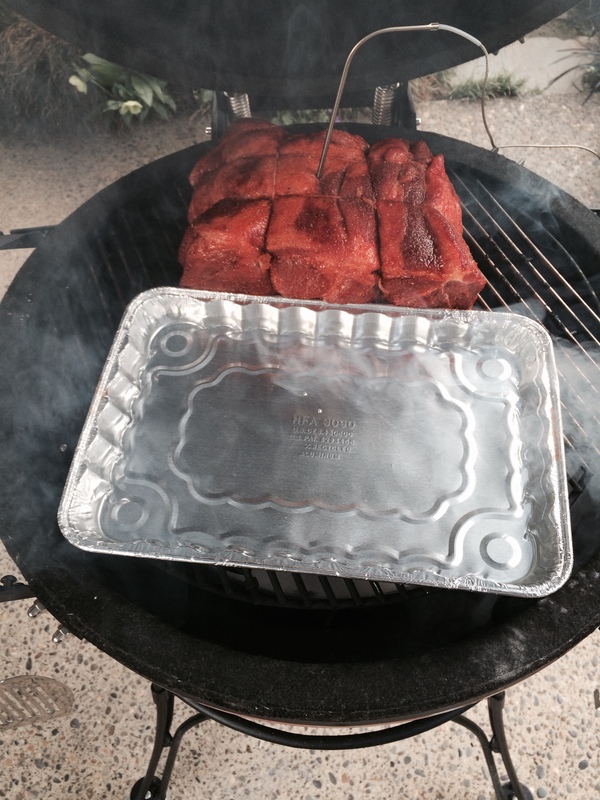 Better yet,drop off a sandwich…..
Get all the details on the Kamado Joe here.